From 2007 to 2009, Japanese company Bandai made a line of surprisingly realistic mini kitchen toys called Konapun, according to Neatorama. 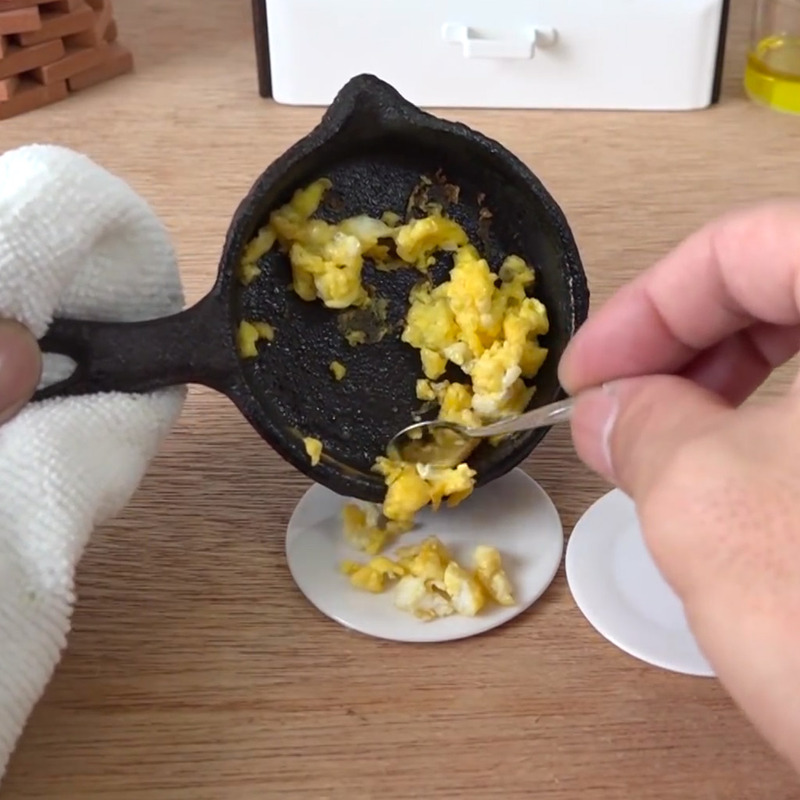 Though these toys were actually intended to make fake food, Konapun’s miniature stove and some of its kitchenware are so realistic that, as one YouTuber proves, you can actually cook a real mini meal on it. Using a tiny egg, some small sausages, a little bit of olive oil, some milk tea powder and water, YouTube’s AAAjoken whipped up possibly the tiniest plate of scrambled eggs and sausages you’ll ever see and then served them up with a tiny drip of tea to wash everything down. Over the past two months, people have been in awe of how realistic the process is (and possibly how much patience he has to work with such tiny pots and utensils). The video has slowly crept its way up to more than a quarter of a million views. Those little pieces of sausages are enough to get your salivary glands going—but definitely not enough to satiate your hunger, no matter what diet you are on.